This design is a testament to inspiration and collaboration, and to taking aspects from different designs to create your your dream union of design elements. To follow that metaphor, this set is a sort of marriage of the Californian and Vignette designs, with some art adopted from an earlier set. 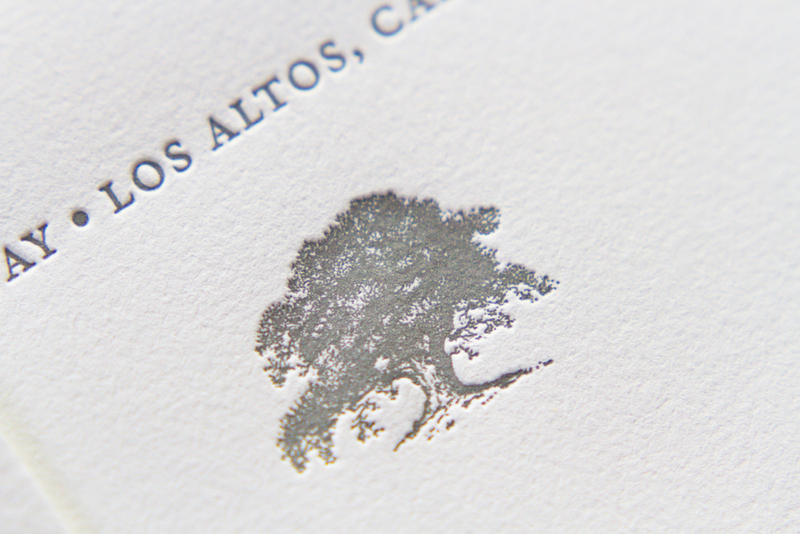 The oak tree illustration is simple, yet incredibly detailed. 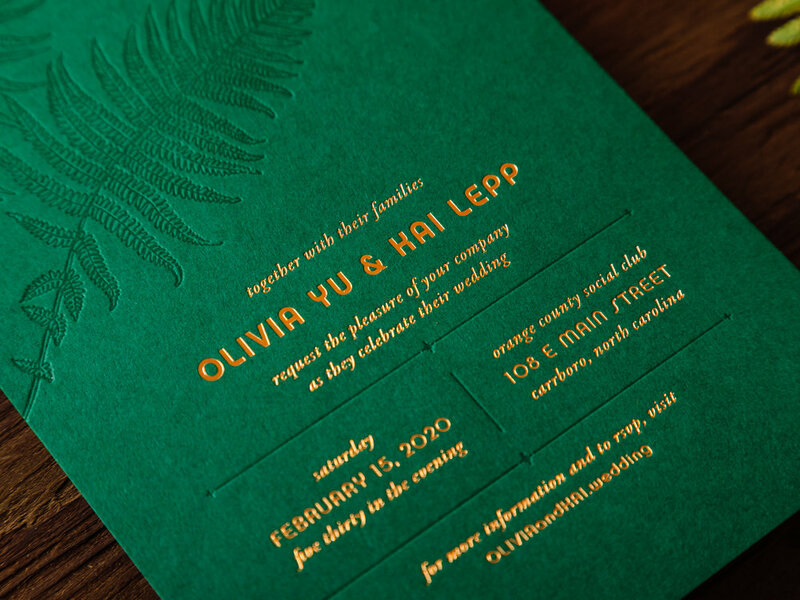 Trees are common motifs for wedding invitations: they can represent vitality, strength, shelter, looking to the future. And they can also, of course, be more literal: depictions of the venue — in this case, a ranch in Calistoga, California — or they can be emblematic of a place special to the couple. The tree motif can embody all of these characteristics and connections. This design is so clean and sophisticated. 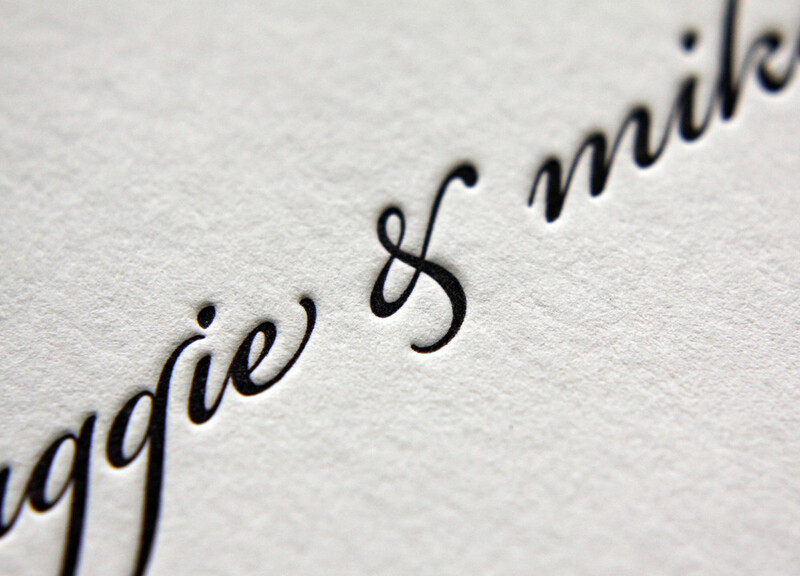 Because it has a lot of white space and isn't overly ornate, the little details really shine. 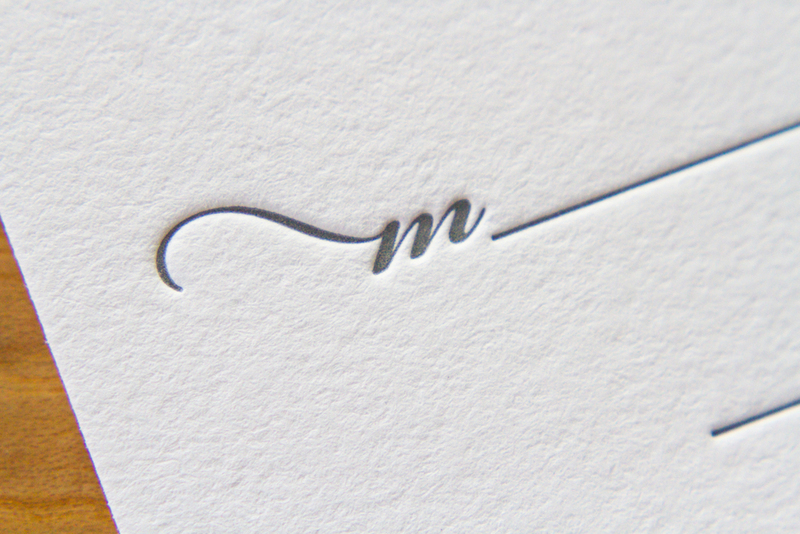 The script has wonderful (in some case, overlapping) flourishes, and the custom double border really highlights the texture of the thick paper stock. Posted in wedding invitations and tagged with slate, blind deboss, custom border. October 14, 2014 by Sarah Arneson. 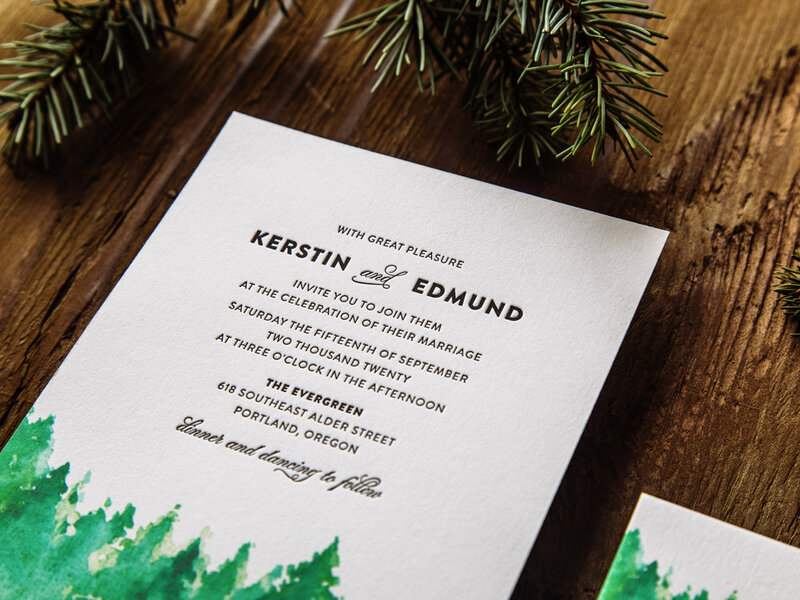 Trish Burton was helping her daughter plan a winter wedding, and was looking for winter-themed invitations. 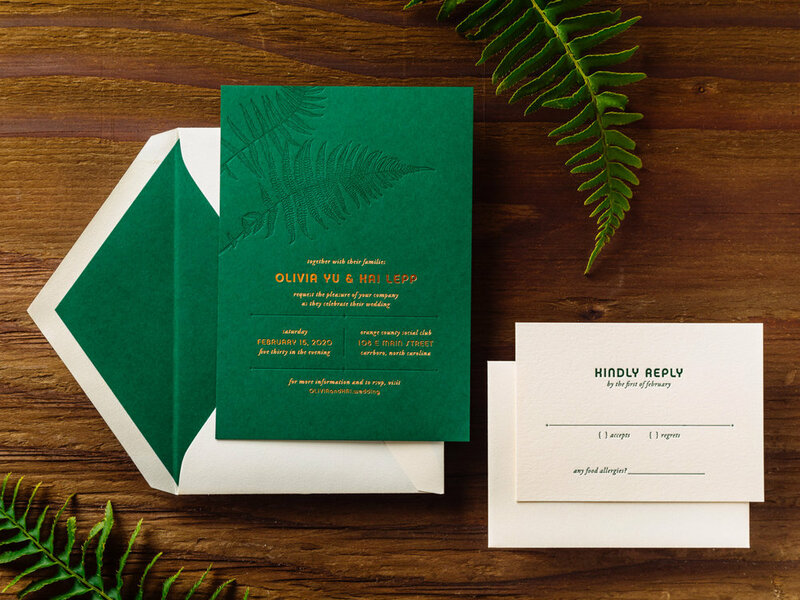 She was familiar with letterpress, as she had used it for her other daughter's wedding, but was unable to find any designs in her area that felt right. 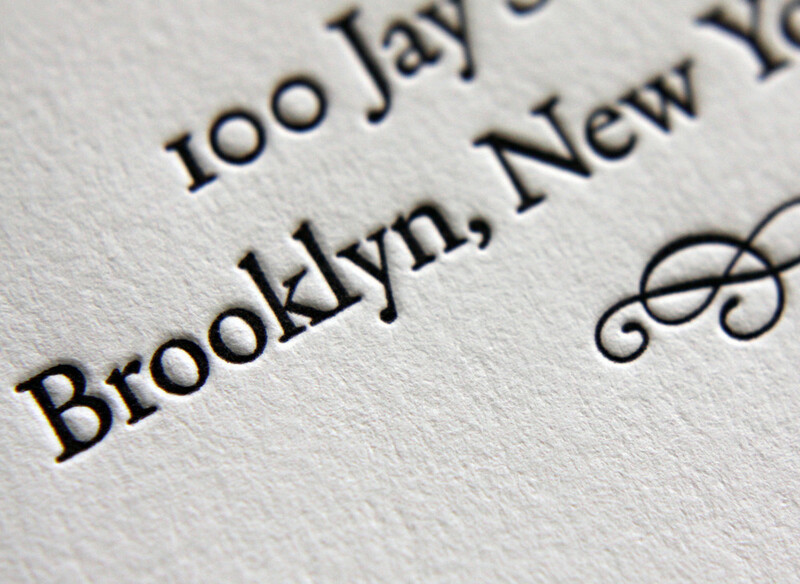 After finding Parklife Press and communicating with Travis, she had the idea to adapt the Pinkney design by using a tinted white ink instead of pink. 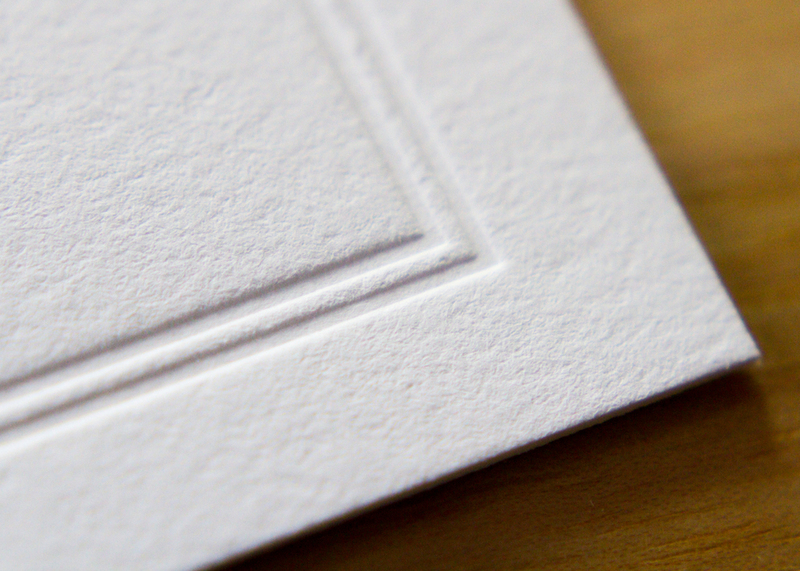 Because the color of the white ink and the color of the paper are so similar, this look has the appearance of a blind deboss (an impression made without ink) but in fact it adds just enough color to make the texture pop. 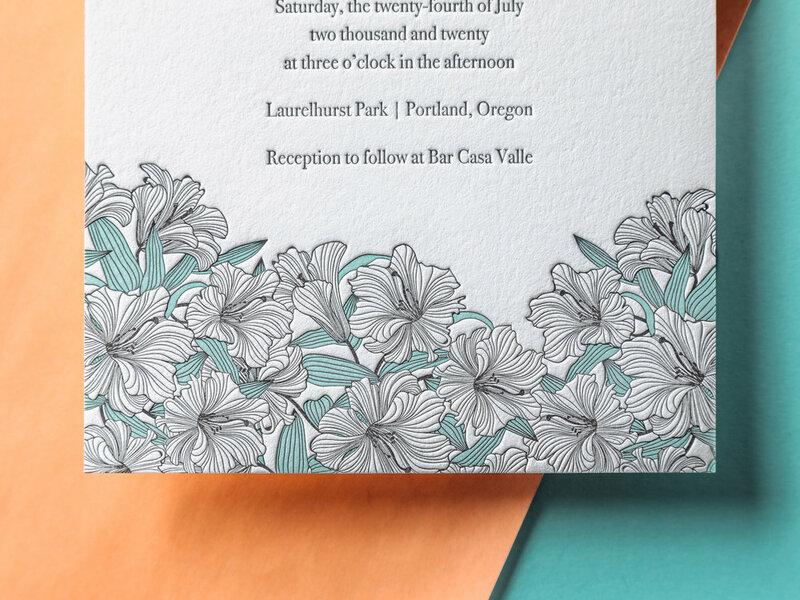 She predicted the change of ink color would make the springy, floral invitation convey a lush and dense snowfall instead. Quiet elegance, perfect for the winter-themed wedding in January. 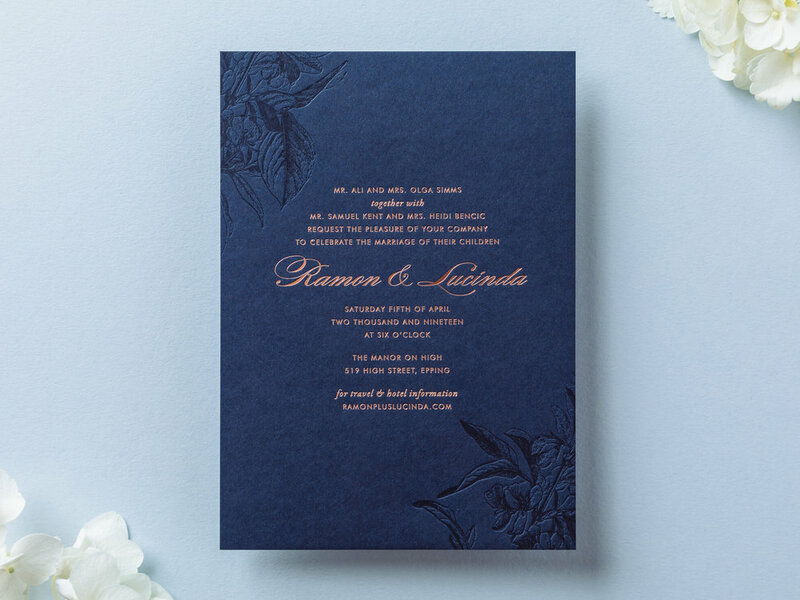 The text was done in slate — a cool gray ink that paired well with the pearl white paper stock — coordinating beautifully with the wedding's theme colors of icy blue and pewter. The bride and groom, who each have stressful careers and work long hours, were grateful to have Trish make the arrangements. Trish, in turn, was eager to take away as much of her daughter's wedding-planning stress as possible. And her pursuit of a fitting winter-themed invitation for her daughter's happy day was successful — Trish said she lost count of the number of friends who complimented them. Posted in wedding invitations and tagged with slate, 600g, pearl white, blind deboss, Pinkney. June 12, 2013 by Sarah Arneson.